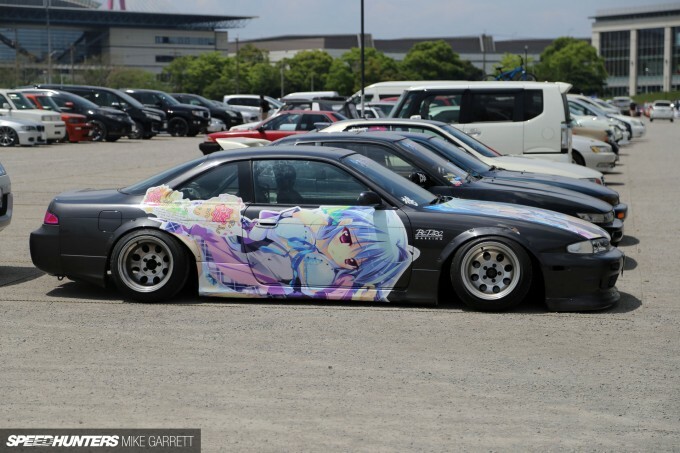 Now that I’ve shown you guys some of the action from inside last weekend’s Wekfest Japan event, I thought it’d be fitting to also share some of my findings from the parking lot. 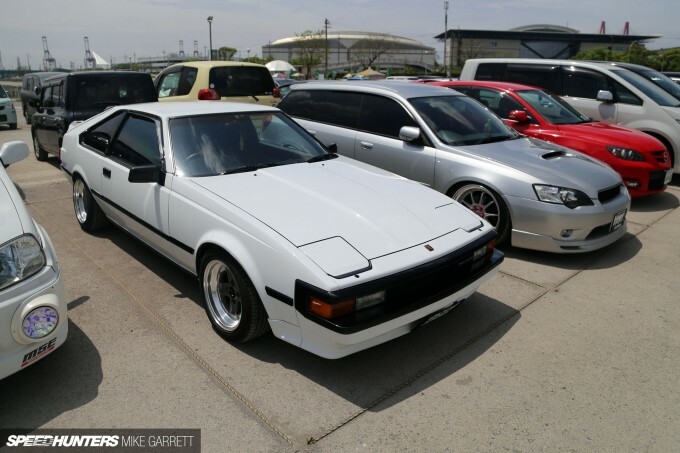 As with any large automotive event in Japan, the machinery parked outside was easily as good as the stuff inside – so let’s not waste any time in doing some good old fashioned parking lot Speedhunting. While the majority of cars inside Wekfest were of the US-inspired variety, the parking lot had an even more diverse mix of machinery. 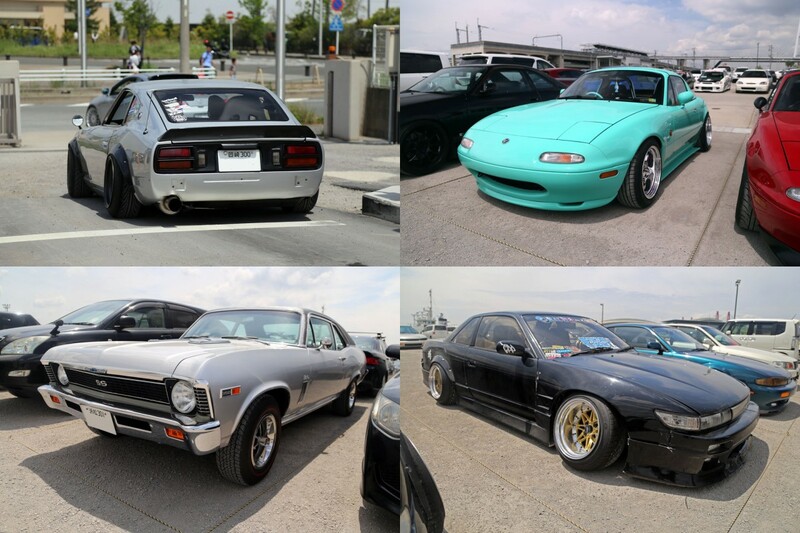 There were plenty of USDM-style cars of course, but also drift cars, classics, European imports and more. I talked in the last post about the strong turnout of Hondas at Wekfest Japan, and the parking lot outside was no different. 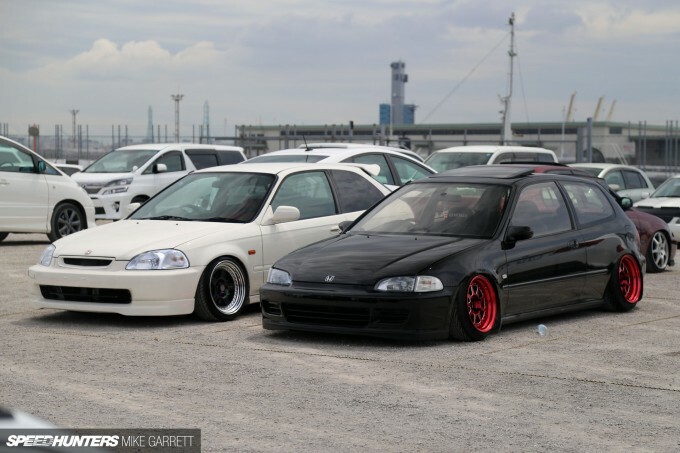 Here we have a pair of Civics modified in the simplistic style that’s become a trademark of Japan’s USDM scene. Haters of super-stretched tires might not like the Porsche D90 wheels fitted to this EF Civic wagon, but I happen to think the Euro-inspired look fits in nicely with the wagon’s tall, boxy lines. If you don’t like the slammed and stretched look then maybe this Kanjo-spec EF9 from Player Customz will be more up your alley. It just looks like a car that’s up to no good. 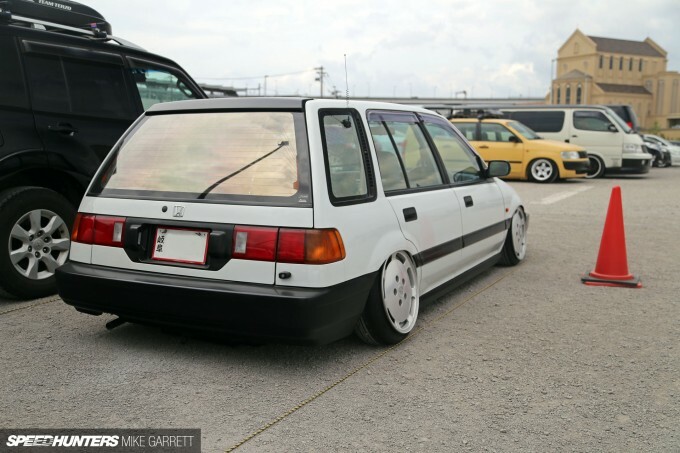 My personal favorite though, was this EF9 from Kyoto sitting on SSR Longchamp XR4 wheels and looking as clean as the day it was built. ‘Classic’ is the word that suits this one best. 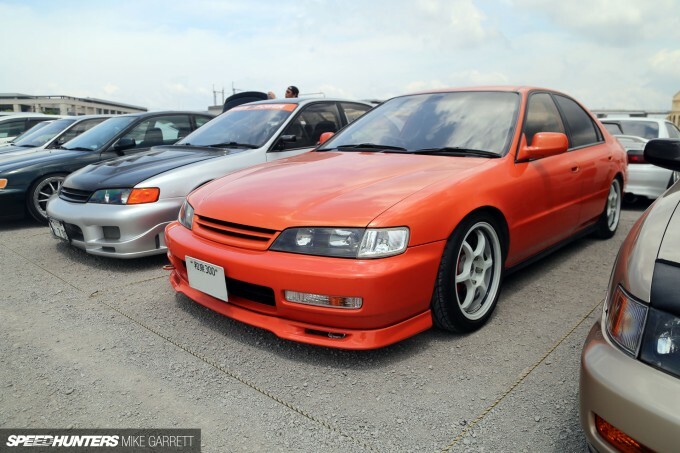 I’ve long considered the fifth generation Accord to be one of my favorite Hondas of all time, and I was pleased to find several of them assembled together in the Wekfest parking lot. 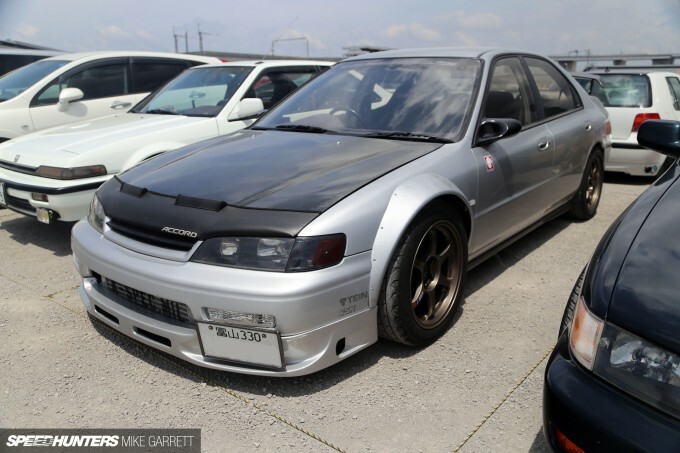 This one had a perfect 1990s touring car style to it, with a stripped and caged interior, big Enkei wheels, AP Racing brakes and some choice aero parts. Equally cool was this turbocharged sedan with a staggered set of SSR Type-Cs and custom over-fenders up front. 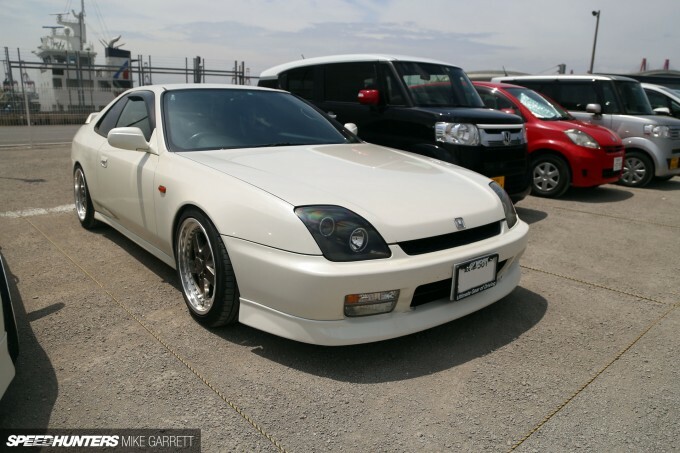 This JUN-themed Prelude made the journey all the way from Niigata Prefecture, and I quite liked its full-on 1990s demo car look. 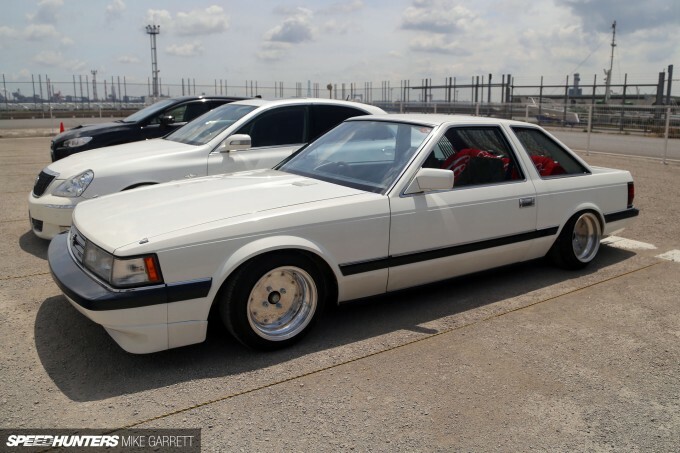 Preludes in general aren’t commonly seen in Japan, so I was pleased to find this stylish fifth gen car wearing a set of five-spoke Work Equips. 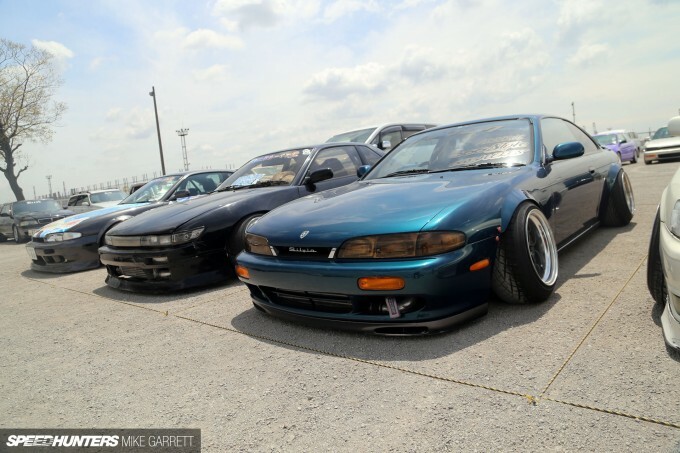 It seems like you’re never too far from an itasha in Japan, and the owner of this slammed S14 Silvia certainly doesn’t seem adverse to attention – which I’m sure he gets a lot of. 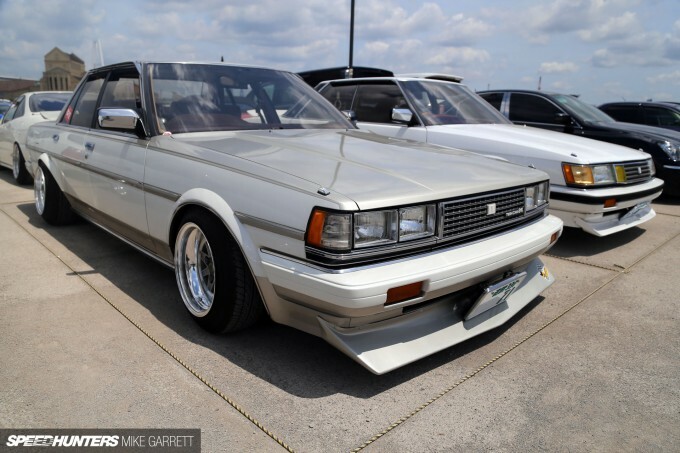 It was actually part of a trio of Silvias all sporting shakotan ride height and small-diameter wheels. You gotta love an S-chassis on 15s. 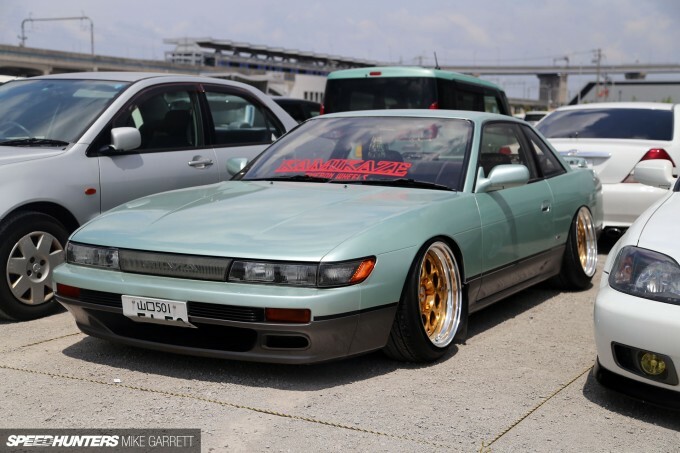 Seeing a two-tone S13 Silvia always brings a smile to my face – especially when it’s as clean as this example, which came all the way from Yamaguchi Prefecture on the western side of Japan. When the notion of a street drift car crosses my mind, this is the image that accompanies the thought. 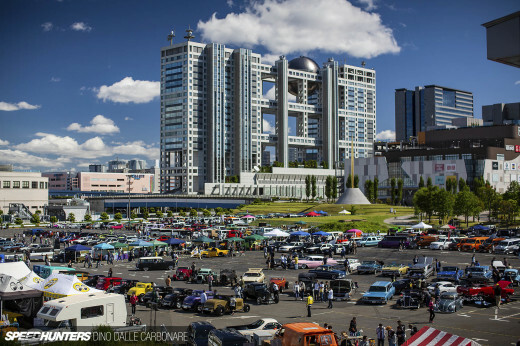 Often imitated but rarely duplicated, Japan is still king when it comes to this sort of thing. Like lots of meat on your Nissan? 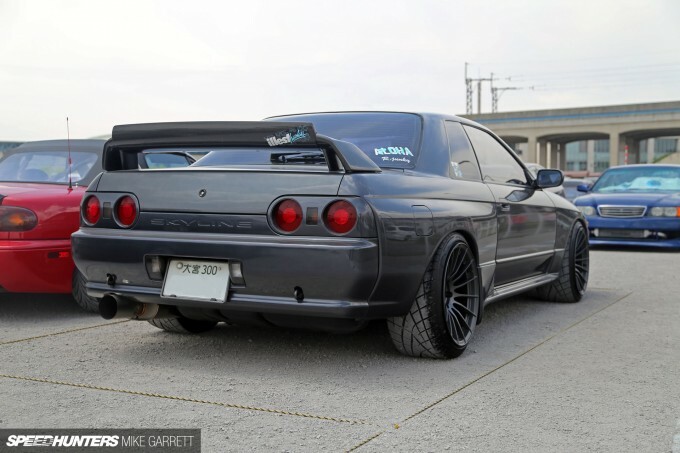 This GT-R sitting on a very aggressive set of Enkei RS05RRs should definitely appease you. The want is strong with this one. 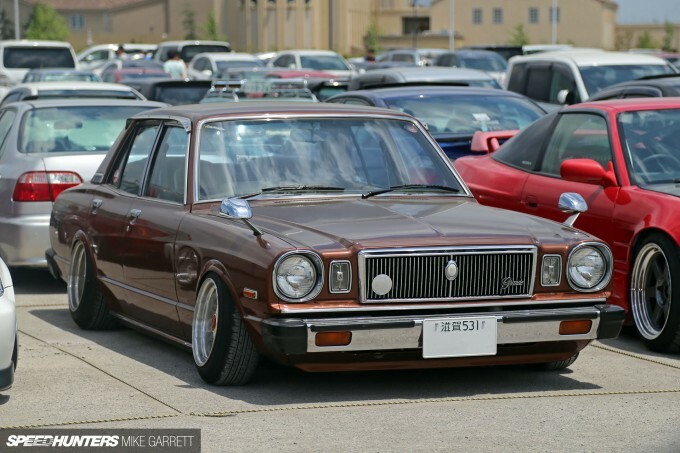 It seems there were several classic car owners who were interested in Wekfest, as I spotted a number of Showa-era machines spread throughout the parking lot. No complaints from me. 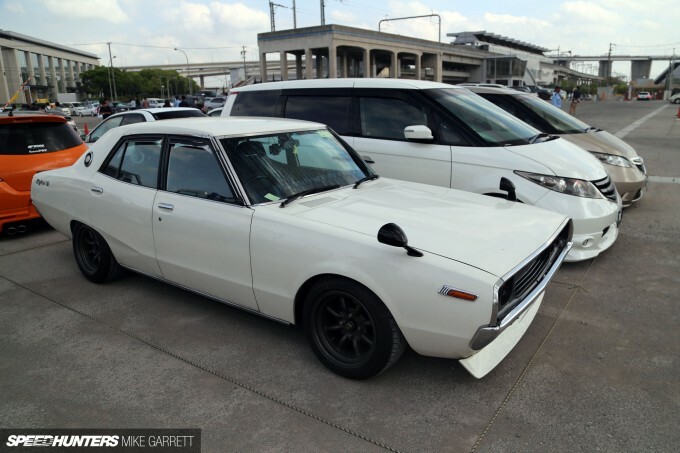 This left-hand drive S30 belongs to Takayuki Suzuki, a regular Speedhunters reader who was extremely happy to show me his L-powered beast. There’s nothing more rewarding than meeting passionate fans! 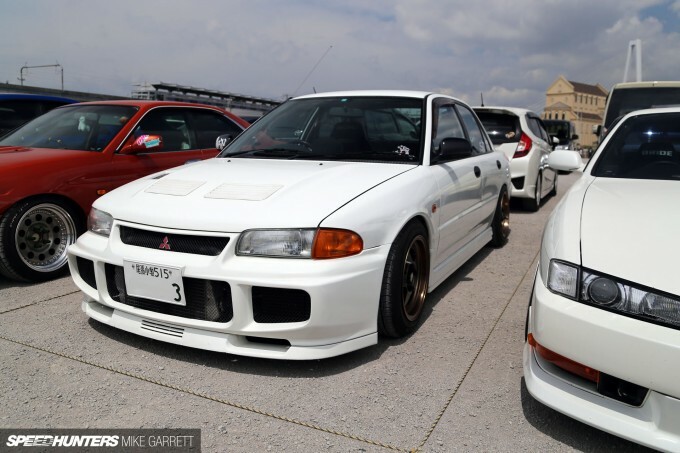 Before the Evo there was the rear-drive Mitsubishi Lancer Turbo. This one was looking perfect with RS Watanabes and meaty rubber. 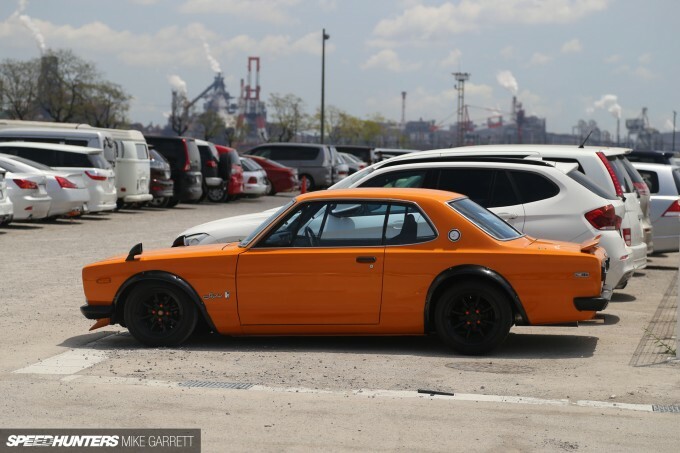 You don’t see many orange Hakosukas around, but the vibrant color is certainly well suited to the box Skyline’s classic lines. Who said the classics need to be Japanese? I even stumbled across a beautiful Chevy Nova SS looking factory-correct with a vinyl top and redline tires. 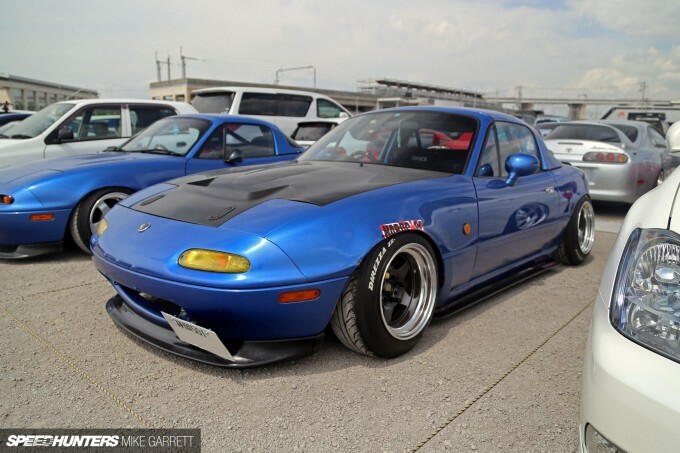 The Eunos Roadster is another car that seems to be gaining popularity among USDM followers in Japan. 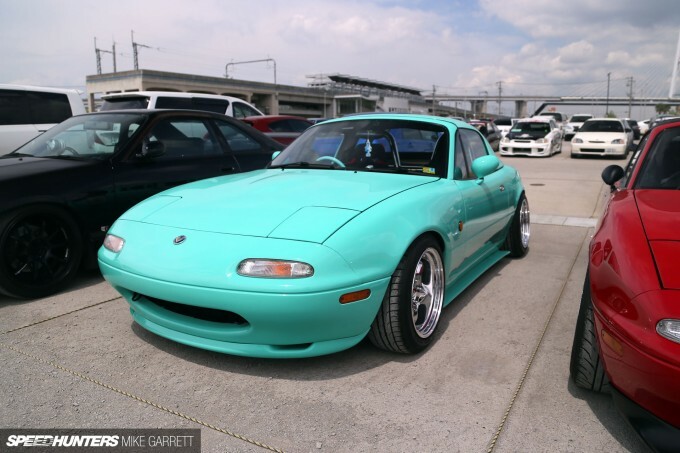 This turquoise NA was rocking a set of Work’s Goocars Hemi wheels for an old school street machine look. Taking things in an even more unusual direction was this yellow NA, which has been fitted with a set of Porsche ‘phone dial’ wheels. I gotta say, I quite like this combination. 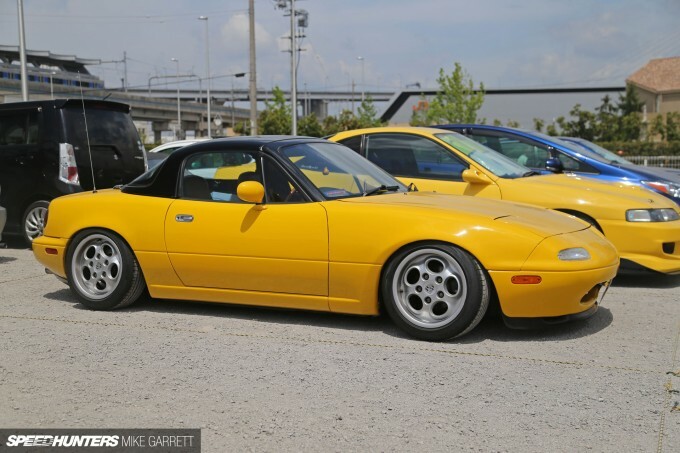 Here’s one more NA Roadster, this time sitting on a set of 14-inch Work CR01Rs. Same car, three very different styles – each cool in its own way. 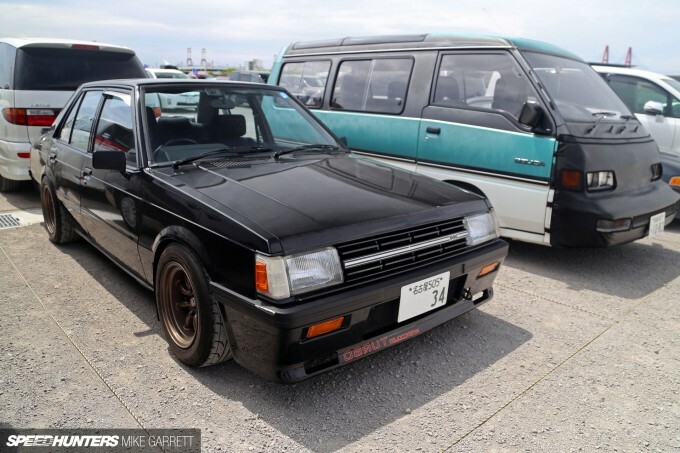 I usually don’t pay a ton of attention to Kei cars, but this Suzuki Lapin was quite a specimen. Check the custom double-flared fenders in both the front and rear, as well as the color-coordinated rollcage. You can’t go wrong with a simple theme – as evidenced by this first generation Crown Majesta with factory two-tone paint and a set of BBS mesh wheels. 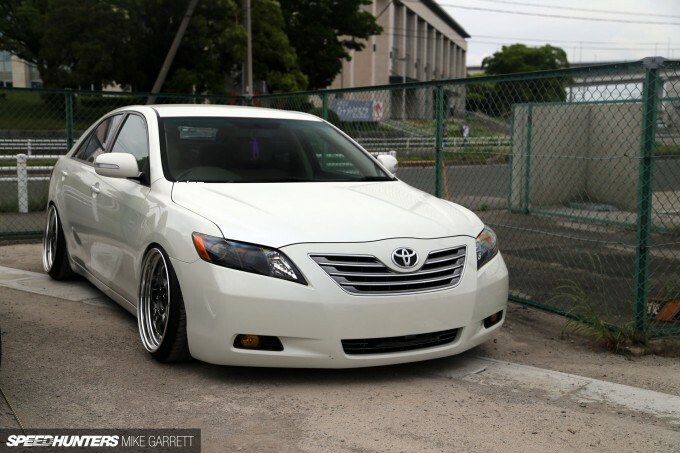 For as a popular as the Toyota Camry is in America, it’s never been a big seller in Japan, and that makes it all the more desirable to USDM followers. 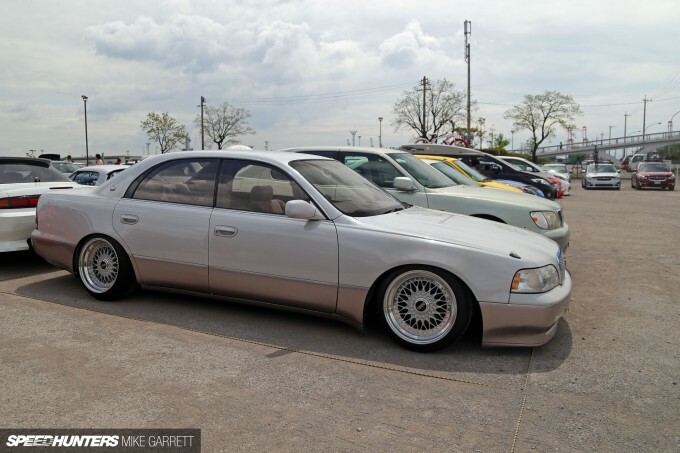 I’d say it’s hard to make one look much better than this example slammed on a set of Work Meisters. Despite the fact that Wekfest Japan was primarily an indoor event, I still managed to come away with a healthy sunburn on my arms and neck from my time spent wandering around outside. Such is the allure of the parking lot. TakaKiseki rice?! Id love to see where you saw any rice at all in this article. Disgraceful. Miata on phone dials shouldn't work. And yet it seems to... Hmm. Dimitry Mochkin TakaKiseki Rice? as "Ricers"? or..... what? 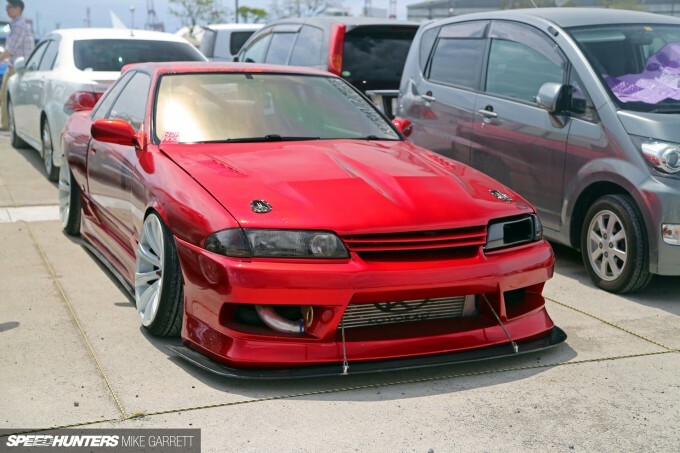 These are always some of the best articles on Speedhunters. i like these, do more!!!! i want more!!! 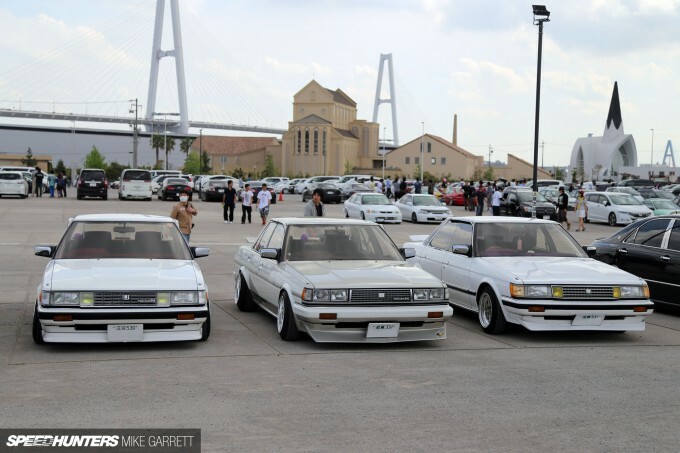 being oriental and loving japanese cars... i lovingly accept the term "Ricer"... i was rice before i was born son!! And i got skinny black framed glasses too. I eat cereal with chop sticks and my spoiler doubles as a sushi bar. Haters gonna hate. 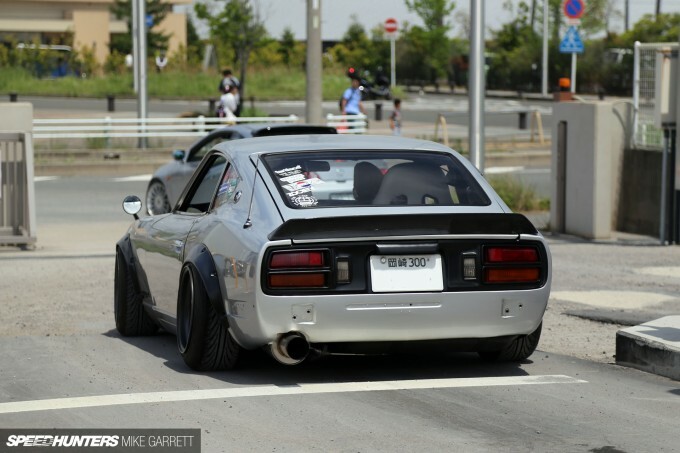 Speedhunters keep doin it right. Mike G is G.
TakaKiseki What is properly stanched? Those are some well organised roped off carpark spots, and precision parking by everyone too! Black Lancer Turbo... wow! 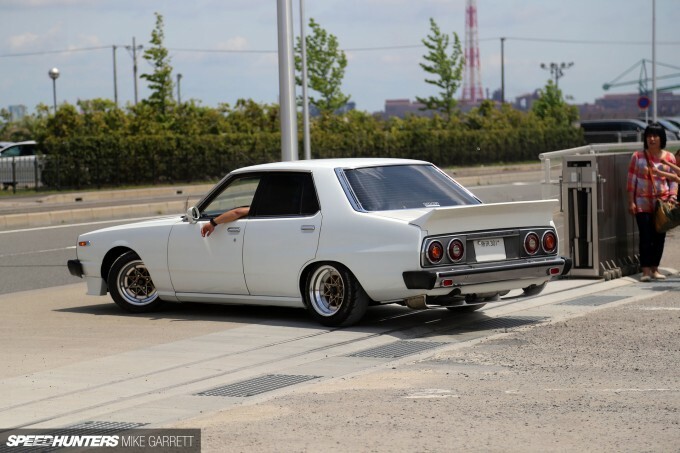 Also the white C110 4door and white/green EF, winners (not a fan of stretch, plus I have 275 wide tyres on my BNR32, rolled factory guards, so that Gunmetal Grey GT-R is meh to me). 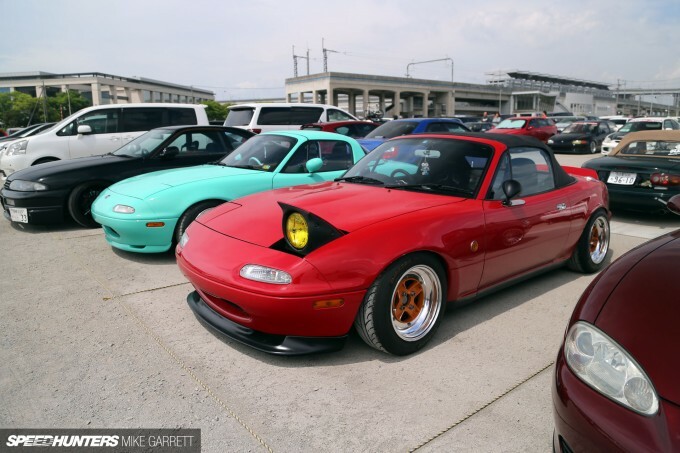 Mike, as a Miata guy I am loving how the US roadster culture is shipping off to Japan. Super cool to see the influence going the opposite way! When I was on a work trip in Japan I spotted a mint BP5 (Legacy GT Wagon) and immediately got home and searched for one and picked up the style. Maybe one day I'll have the opposite effect on someone in Japan with my roadster. I saw your instagram recently of you entering Japan and couldn't wait for your coverage, looking forward to an upcoming collectible feature. You're articles have guided me on a few trips in the past! TakaKiseki It's flied lice you plick. Much drool, such want. Hell's yes "You gotta love an S-chassis on 15s." Such a break from 21s. the Enkei RS05RRs on that GTR are making me hungry. Should have a like button under each image. 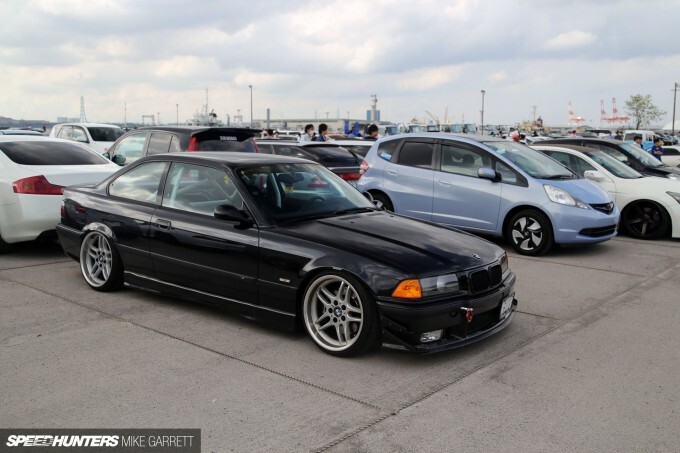 E36 on E38 wheels... Thumbs up! 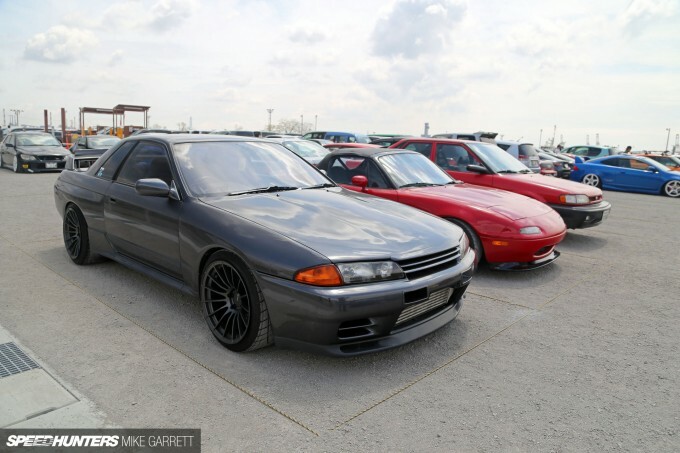 the R32 and nova are gorgeous... but that Lancer Turbo tho'. If google seems slower today, it's just be me brain-scheming. Prelude content!!!!! Loving the Jun-themed one Mike! Just found the owner of that white 4th gen prelude. It's one of two real Jun shop cars. If there was any way you could spotlight that car and what legends Jun Preludes are that would be incredible. 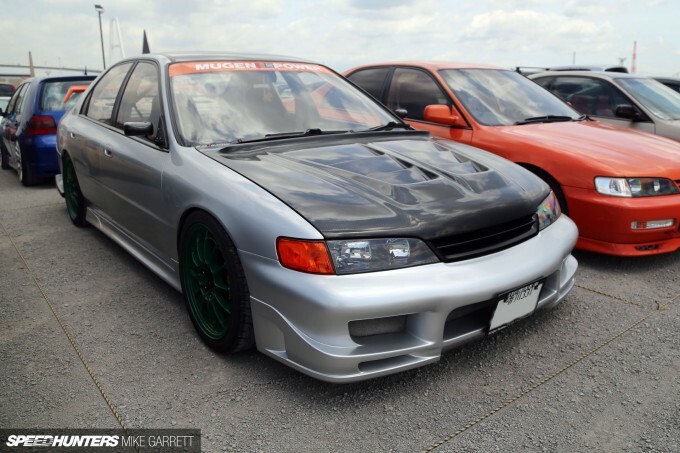 The Lancer Turbo it's a unicorn for us Evo fans! That Lancer Turbo! Been after one of these for years! I found a '68 Chrysler Newport in Yokohama once on g**gle earth. I wonder if it's still there. 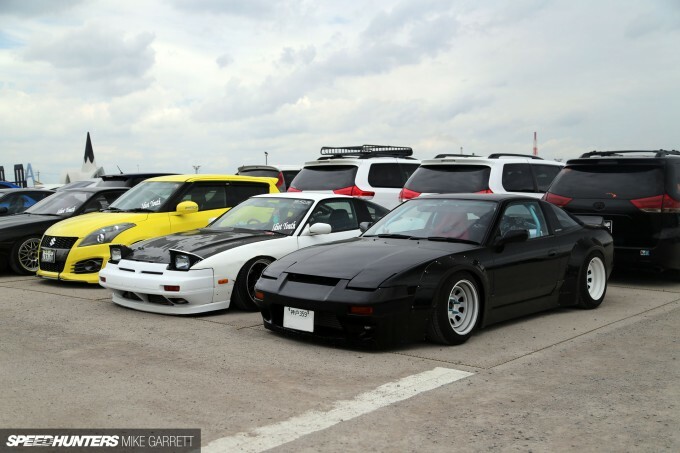 I'll take the black 180SX in the bonus images thanks. 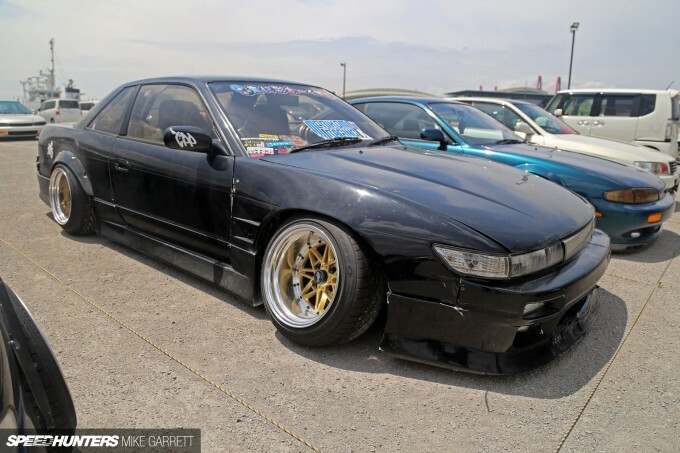 what rims are on the itashu car? 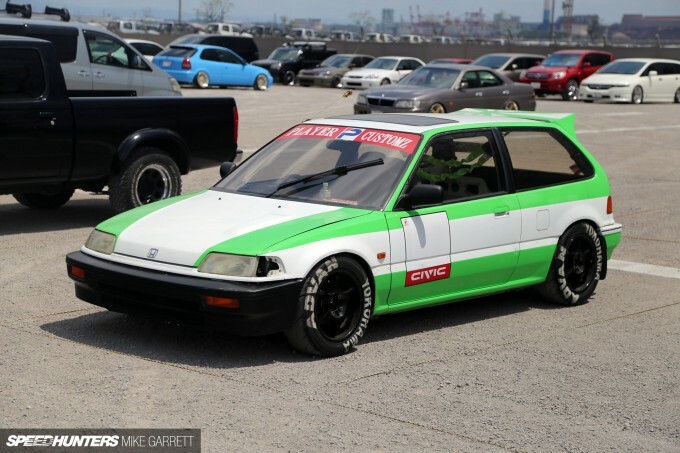 Anyone know the specs of the Longchamps on the Civic? 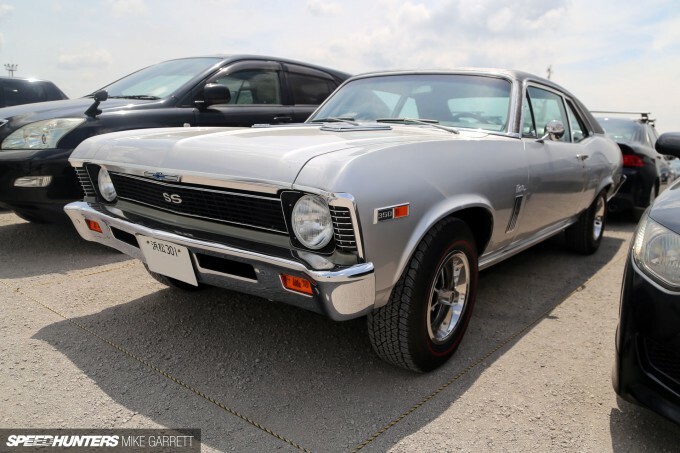 My dad had both a 1967 Chevrolet El Camino SS and a 1972 Chevrolet Nova SS. The El Camino was black and the Nova was green. I wish that I could have helped him keep both of those rides, along with his 1962 Dodge Polara.